John Stanhope promises money for Canberra. Watch the end of video on the new Canberra website. So it's simple, do you want a team? It's up to us, and let's encourage our football fans, friends and family to do our bit. There are thousands of us playing watching talking the game. We deserve the best for our city. Canberrans can now sign-up for Foundation Memberships online. Ambassador update: Smashed the target! 95 Ambassadors on board and rising! I've taken advice from many and agreed to continue to take Ambassadors. If you believe you can get ten people to sign-up be a part of history and become an Ambassador. See details below. ADFA, Lanyon, STFA, Marist, St Edmunds, Yass, Purple Shins, Telopea Park Comp,) Given the amazing response these clubs are places where either I have no direct contact, or people assume someone else will do it. Be good to get these and any groups I may have missed who like to be represented. I've been unable to contact a few clubs, so far:) If you would like to fill the Ambassador role, (vacancies below) for your club we'd love to have you. We're aiming for 90 so we'll easily get to our target. Top, top response from everyone. What does the Ambassador do. 1 Come to a meeting to hear Bid Leader Ivan Slavich speak and present the campaign. Wed coming 6pm Venue to be confirmed. 2 Agree to ten plus one campaign. Get ten people to sign-up as foundation members ($200)...they do it themselves you just encourage them and then ask them to get one more member each. That is it. Just ten, no more, no less. Then it's job done for you. 90 x 10 would give us 900 members if they all get one more, that's 1800 and with the chatter across the city and clubs and the advertising about to ramp up we could change football in this town forever. Ambassadors can be anyone with a love of the game, and feel free to suggest another category. We will close the list at 90. UCPumas,Radford, Girl's Grammar, Canberra FC, Canberra City, Narrahbundah, Players FC, O'Connor Knights, Tuggeranong Juniors. Contact me: flanaganDOTeamonnATgmailDOTcom Would love to hear from you. Green's great but where's the white hoops said the Celtic fan. Should be a close to a ground record crowd at the first game at McKellar. What do you think? Football thrives on rumours and take these with a big pinch of Canberra Spin. to trial with Jets first team, Dane Milovanovic heads to Europe, Sam Munro to trial with Sydney FC Youth. Carl Valeri off to Serie A, currently he is training twice a day in the mountains in Northen Italy. "We're getting smashed." Summer League quashed, The Gong pulled the pin. ACT Rockets to play Rep games during the summer. They might have a more impressive website (ours is yet to be launched, probably Thursday or Friday), and they've been going a lot lot longer, but they are behind already in the financial stakes. We've got em, believe me we've got em. EXCLUSIVE: SOUTH Coast Football’s bid for an A-League franchise has already generated $2.5m with a scheme in place to add a further $2m. Around $5m is the minimum sum needed to demonstrate a serious bid and cause Football Federation Australia to sit up and take notice. South Coast have launched their official website in the last 24 hours with a poll in place to choose a name for the team, who would play home games in Wollongong. Bid chairman Eddy De Gabriele is delighted with the momentum being generated and is looking forward to the next stage in convincing the FFA to grant them a place in the competition. He told au.fourfourtwo.com: “I think we’re about halfway (to the $5m start up figure) and we are very close to putting an innovative model to the FFA in the next few weeks designed to generate $2m. “I can’t say any more at this stage but it’s a unique scheme that’s very much in line with our belief in a community engagement. The bid team say getting the community on board has been as important as generating funds with a clear message that this is not a ‘Wollongong’ or ‘Illawara’ bid, it is for the South Coast area as a whole. De Gabriele insists the bid, backed by Socceroos Scott Chipperfield and Tim Cahill, is one that tells it how it is rather than seek headlines without substance. Time is running out to convince the FFA that South Coast should feature in the 2009-10 competition but De Gabriele is still not ruling it out completely. As for a name for the South Coast team, the options to vote on are Diamonds, Reds, Angels, Stars or Dolphins. A big effort is planned to woo potential investors this weekend when Wollongong plays host to Sydney FC and Wellington Phoenix in the Pre-Season Cup. “We’re working hard on bringing both business and the public to the game,” said De Gabriele. 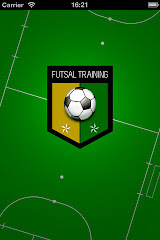 The bid website is www.southcoastfootball.com.au. So far 66 phone calls and 62 people have signed up for the 10 plus 1 Canberra A-League bid Official Ambassador program! Wow! Thanks for your outstanding support, you have encouraged me to keep going and get to my target of 90 Ambassadors before Saturday. It is really encouraging to see so many so willing to help garner the grassroots support for a Canberra team. With Ivan Slavich building a huge head of steam, this is a great opportunity to get a team in Canberra. I'm aiming for 90 and if you can help please contact me if you can commit to the role. Read below to find out when the Ambassador meets Ivan Slavich, the bid leader, and what the Ambassador has to do. It's an important but limited time commitment. Place: Venue has changed tBc. Who: All Ambassadors and people who think they will be an Ambassador. Commits to 10 plus 1 campaign. 2. Commits to getting 10 people, no more, no less, to sign up as Foundation Members. 3. Asks each Member then to get one more, no more no less. If you can do this, presumably when you are with your team, or club on a Saturday or Sunday, you'll know the 10 most likely who have already been to a Socceroos or A-League game or who are genuinely interested in a team in Canberra, with th Professional marketing campaign to kick in with advertising on Radio and in the Canberra Times and a viral web campaign, it shouldn't take much time. I've got 54, I'd love 90 and more than one from each club is fine. Your name will appear on the official website due to be launched on Friday. flanagan.eamonn@gmail.com if you can. Happy to call or for you to call me if you need clarfication. The FFA are saying there is a salary cap of $150,000 for the W-League, but the teams are saying they won't be paying anyone!!! Sure you can have a Salary Cap but if no-one has the money to spend then it's a tad meaningless. This one needs to be investigated for clarification. I'll make a phone call or three. Record crowd at McKellar Stadium? With all the hype, the entertainment planned, it should be a day to remember and a great turn-out. Can't wait. All the news from the FFA's Bonita Mersiades on Westfield W-League, plus football hero and Green and Gold Army Member John McGauren. Locally catch the A-League bid update and hear from Capital Football CEO Heather Reid on Canberra United news. Where will we play, who will play, costs, initial plans etc etc. Nearpost Radio Match Calls: Canberra United. Plans are underway to call all Canberra W-League matches live. They will be streamed online so people from other States, nay the World can listen to Canberra's finest Commentators and Match Analysts. Great experience for those interested and no pay! I'm investigating the technical requirements and when we've got them sorted we'll be getting a team together who are interested in commentating and improving their commentary skills. So if you are interested get practising and as soon as we get the nod on the technical side we'll be calling for demo tapes of just 5 minutes. We want to aim for excellent match callers worthy of a National League. There's a few ahead in the stakes at this stage, but it's a new dawn so let's see what talent is out there. Canberra bid update: Can you help now? Can you help the Canberra A-League bid? Update of bid and Ambassador list below. We are moving quickly towards our 24th August Canberra A-League Bid Submission date. Ivan Slavic is securing the funds we need, and we the fans of football can now assist to secure the members for our Canberra team. People and money will be the key factors in passing the FFA's requirements. We are asking football fans in our community to become Ateam4Canberra Official Ambassadors for their Club/Workplace/or local competition. If you can secure just TEN paid-up Adult Foundation Members before 24th August and with the professional marketing campaign to kick in we are well on our way to our membership target. That’s all you have to do. Get TEN paid-up members and ask each adult member to get one more adult themselves and you’ve done your bit for the Canberra A League team. We envisage that this can be done by targeting your friends who play and watch the game already. This will have a significant effect on sign ups and will hugely assist the planned marketing, viral web and media advertising campaign which starts Wednesday. There will be a meeting for all Ambassadors (You) to meet Ivan Slavic. We will email you to notify you of this time and venue. Ivan will outline the bid process and how we are progressing in detail and why you are so important to the future of a team in Canberra.  What will I get for my $200 foundation membership? Fans will get reduced season tickets and/or match day tickets when the Canberra team starts in 2010. Important: Money is held in trust and returned in full should our bid fail. Online: Coming with new website expected start Wednesday. Official Website is currently being created by Zoo (Design, Marketing, and Advertising Company.). FM Radio Advertising Campaign has started. Canberra Times Advertising coming soon. All Ambassadors names will be listed on the Official Website. If you know of somebody who could fill the blank Ambassadorial positions below please ask them on behalf of our bid, and forward their name and email address once you have their agreement. Great news for football in Canberra. One team in a National League. We'll have a full interview with FFA Head of Corporate Affairs Bonita Mersiades on The Nearpost Radio tomorrow. Bonita will outline all the changes for the game, and also Capital Football CEO Heather Reid will be in the studio to talk about the Canberra team...or not:)..in the local half hour. Football Federation Australia (FFA) and Westfield today announced a landmark agreement in support of the fastest growing team sport for women in the country – women’s football. The Westfield Group's support involves women’s football ranging from the Westfield Championship for Girls, the establishment of a new national women’s league known as the Westfield W-League, and the national women's team to be known as the Westfield Matildas. Westfield has also extended its partnership in respect of the Qantas Socceroos and the Hyundai A-League. “We are delighted to announce this new and historic agreement for women’s football,” said FFA CEO Ben Buckley. Buckley said that women’s football has enjoyed an average annual growth rate of 6.3% over the past five years, especially on the back of the performance of the Matildas in the Women’s World Cup in 2007. “The Westfield Matildas are one of the highest achieving sporting teams in Australia, having made four Women’s World Cup tournaments and several Olympic Games, and football offers a unrivalled career path for talented elite women athletes,” Buckley said. Westfield’s Group Managing Director, Steven Lowy, said that women’s football is a great strategic fit for the business. “Last year there were nearly 450 million visits to Westfield shopping centres, 70% of those visits were made by women. What better way to connect that huge number of women who visit Westfield each year than through this sponsorship of one of the fastest-growing sports in the country. “We have planned a range of activities including player appearances, coaching clinics and game hospitality designed to create real value for our customers across our 44 regional shopping centres in Australia. The Federal Government also contributed funds towards the cost of establishing a televised national women’s league as part of its 2007 election promises. Broadcast rights are still under discussion. Buckley said the Westfield W-League will comprise teams from each of the seven Australian Hyundai A-League clubs as well as Canberra, and will kick-off at the end of October. Great great news about the Women but what about our boys! I'm expecting a Canberra National Women's team on Monday, an A-League team in Canberra in 2010, but why can't we have a Youth team now. NOW, I said very loudly. Did anyone hear? You advertise for a Coach..imagine the interest locally. You trial players from Canberra and beyond..imagine the interest locally. You contact ALL A-League Youth teams and say, "we'll play you three times in your break. Home and away"
There are only seven teams in the league so everyone has a break every seventh week when they play Canberra home or away. Which A-League team would refuse? The FFA don't want us! So what, a friendly is a friendly and Tassie have already organised four. No-one knows or cares, but our players do, Canberran football followers do. This means our players start to get to the standard required. Oue Coaches get impressive experience. And we nick local boy Kofi Danning from Sydney FC! Taylor Beaton from the Mariners and so on. The team plays other A-League Youth teams each week watched by Alex Tobin and Steve O'Connor and the like and playing against the odd A-League Pro on his way back from injury...john Aloisi? What experience. It can't fail can it? Well if we have to reduce to just Melbourne, Central Coast, Jets and Sydney we should do that. Come on all it takes is a phone call or two and we're in. Our own Youth team. And these guys would be fighting like crazy for an A-League contract with another club and/or be ready for the Canberra side in two years time. The time to prepare our players is now. We're not in the A-League Youth League officially, but we can be. No it's not for Canberra Raiders Golden Boy Todd Carney or even Brumbies Wallaby Stirling Mortlock. Former Tuggeranong junior and Socceroo ace Carl Valeri, that's his expected transfer fee if he moves from Serie B club Grosetto in the next few weeks. Which gives an insight into the value a Canberra A-League club/players could provide to their owners in years to come. Where would you invest? And I should mention Bare from Gamba Osaka, you know the guy who played against Melbourne in the Asian Champions League this year. He's just signed for UAE side Al Ahli for $10 million. A lot of money starting to float around football in this part of the world. My favourite Canberra Times journo Merryn Sherwood had the scoop on the movements of Carl Valeri. Read on in case you missed it. Carl off to Serie A? Prefer he went to Celtic but Serie A would be a great move for him. Canberra's Carl Valeri has at least four Serie A Italian soccer clubs interested in signing him for next season, but the 5million euro transferprice that his Serie B club Grosseto is demanding is proving an obstacle. Italian websites reported earlier this month that Serie A team CagliariCalcio based in the capital city of Sardinia, Cagliari was trying to secure the 23-year-old for the upcoming season. All three teams that gained promotion into the league this year, Chievo Verona, Bologna and Lecce, were also interested. But Grosseto is demanding a 5million euro transfer fee, just over $8million Australian, for the former Canberra junior. Cagliari has expressed the strongest interest so far mainly because its new coach Max Allegri has already coached Valeri for two years in Italy. Allegri coached Valeri at SPAL when he was loaned there from Inter Milan in 2004, and then took Valeri to Grosseto when he took up the manager's position there. Another Italian football website, tuttomercatoweb.com, quotes Allegrias saying Valeri is ''the No1 goal for Cagliari in the midfield''. Cagliari president Massimo Cellinowas quoted on another website as saying he hoped to drive down the asking price by including players in part exchange.Valeri's father Walter, a former Capital Football president, said his son hoped to secure a transfer before the cut-off at the end of August. 'When Valeri was in Australia for the Socceroos' World Cup qualifier games earlier this year he told The Canberra Times he hoped to play for a Serie A team this year, after captaining Grosseto up to Serie B from the third division Serie C over the past two years. ''I've been there three years and I hope it's time,'' Carl said last month. ''Unfortunately that isn't up to me, there has been a little bit of interest, but I'm not sure what might happen. ''I'd be sad to go, but at the same time I think there isn't much more I can do for Grosseto. 'Valeri originally went to Italy as a teenager on a contract with Serie A giant Inter Milan, but was loaned out to SPAL and then Grosseto in 2005. Grosseto then took full ownership of his contract last season, the club's first season in Serie B.
Valeri has two years left on his contract with Grosseto and started pre-season training with the club in Tuscany this week. 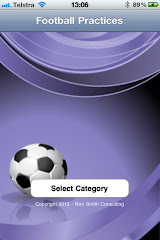 The transfer period will close at the end of August, when the 2008-09 Serie A season starts, and open again in January. The Matildas have been defeated 0-3 by the Japanese Women’s National Football team at the Home’s Stadium in Kobe tonight. With a revamped defensive line following the recent retirement of Di Alagich, Caitlin Munoz showed her versatility by starting the match at left back with Clare Polkinghorne and Kim Carroll in the middle and Brooke Spence taking the right back position. Lisa De Vanna and Kathryn Gill also joined the starting line-up after joining the squad from their Swedish Club AIK Stockholm, whilst Heather Garriock wore the Captain’s armband. The Japanese women had the better of the opening exchanges, holding much possession in the Australian defensive half. The Matildas looked the most dangerous when Heather Garriock combined with Lisa De Vanna who used her speed and skill well to unsettle the Japanese defence. Japan had their first goal scoring opportunity in the 20th minute when Shinobu Ono laid off a pass to Yuki Nagasato who shot to the far post, but Matildas goal keeper Lydia Williams was able to parry the shot wide and deny the host team the opening goal. Ten minutes later Japan had another opportunity when Aya Miyama hit a stinging shot from outside the penalty box in the middle of the field. Williams was again up to the challenge and tipped the ball over the bar for a corner. Williams was called into action again in the 42nd minute when Kozue Ando broke through the defence and went one-on-one with the Australian goal keeper. Williams came off her line well, closed Ando’s angle down and was able to block the shot. Unfortunately, Williams was unable to produce a save one minute later when Aya Miyama floated in cross from the right to find an unmarked Homare Sawa inside the six yard box. Sawa headed post Williams to give the Japanese a one goal lead going into the half-time break. Matildas coach Tom Sermanni changed his goal keepers at half time, with Williams replaced by Melissa Barbieri. From the restart of the second half, Matildas captain Heather Garriock had a chance to equalise when she found some space on the left and was able to dribble into the penalty box and shoot. Her goal bound shot pushed wide by Japanese goalkeeper Miho Fukumoto. Japan doubled their lead in the 47th minute when Yuki Nagasato beat the offside trap to take the ball to the by-line and then turned Brooke Spence before shooting inside the near post giving Barbieri little chance of saving. Japan continued to apply the pressure and could have extended their lead on a number of occasions, but the Matildas defence was up to the task and Barbieri made a number of keys saves to keep her team in the match. With five minutes to go, Caitlin Munoz fouled substitute Karina Maruyama in the box and conceded a penalty in the process. Maruyama converted the resulting spot kick sending Barbieri the wrong way and sealing a 3-0 victory for her team. After the match Matildas coach Tom Sermanni was not surprised about the final result but did have some concerns regarding his teams performance. “Japan are at the top of their game heading into the Olympics and we are currently going through a rebuilding phase. “Although the result was not in our favour, I was more disappointed with the way we conceded our goals. But that is something that can be worked on, concluded Sermanni. The Matildas will now head home and turn their focus to the upcoming ASEAN Football Federation Women’s Championships which will be played in Vietnam in October this year. Substitutes Not Used: 6.Tomoe Kato, 9.Eriko Arakawa. Substitutes Not Used: 3.Ellen Beaumont, 5.Renee Rollason,. Yellow Cards: Caitlin Munoz 55’. Clare Polkinghorne 85’. How badly do Canberrans want an A-League team? We could never have a team in Canberra, not even a bid. So everyone has always said or so it seems. Well here's our chance. And wake up Canberra. We've got a bid, and I believe we're flying financially. But money will not be enough. It'll be the Canberrans, the fans, that eventually sink or float our bid over the ever moveable FFA line. for a place and do you think they are sitting back waiting to see how much money and members Canberra will get? Townsville reckon they are in. They've got 3,000 juniors and 170,000 population. Give me a break. Melbourne and Sydney: Well a second team from either place is probably needed in a 12 team league and could we really expect to compete against such population? So it's us against 170,000 people in Townsville with nothing else to do, or the Wollongong mob who have little track record of big crowds despite winning the old NSL on occasion. The Canberra pre-season pre-season game was the biggest crowd of all pre-season games played so far, albeit not all were in Wannabee A-League centres. And even though everyone got to sit in the shade, its a Canberra thing, it sent a strong message. Ivan Slavich is talking to a local Consortium ($1mill approx) Pawl Cubbin (0.5mill) Fans (1 mill which we'll get before the first game in 2010 despite what the negative Canberra Times journo Peter Fitzgerald writes, and I'm confident with a good number before the bid date Aug 24th,) and the ACT Government agreeing to chip in a significant figure. No inside info their, it's all been in the press. So that could give us $5 mill plus another couple of investors to get us going. TV Revenue $1 mill per year until 2013. Then a significant increase. Tickets sales $1 mill..10,000 per game average. Sure the figures are back of the ciggies packet stuff but you can see it is doable. In a way it never was before, ever. Ivan Slavich would attract extra funds more easily. And even be able to reduce the ACT Government involvement. And with fan support we can convince the FFA we want a team. This element is equally crucial when up against other cashed-up bids. In Canberra it's the supporter base that is the key. If we have a team of course we can build a club, a fan base, a future. We have the player base and there are a number of long-term strategic things we can do to promote the club, and the game. But it's getting the bid over the line, that is the key. Money and fans. What can you do? Getting the fans onboard now in signiifcant numbers is the challenge. I've phoned ServiceOne to enable members to sign up online. They will inform me ASAP when this can be done. Apparently problems identifying online members when Serviceone need to hold money in trust is causing the delay. Frustrating but it appears it will be done just not quick enough. Anthony Hatton and Jeremy Butler have met to discuss the Supporters Club. I look forward to hearing their plans in coming days. I would invite others to get involved, to target, encourage or plan a way of getting other members signed up. It will be the grassroots campaign that will win the day. Made easier and backed up by a soon to start Canberra A-League bid advertising campaign I'm lead to believe. It's a short-term commitment between now and August 24th. How we attract either more paid-up members and/or more signed survey responses before August 24th is to me the conundrum. Ivan will get the money, I believe that, but is the Canberra fan voice loud enough? Now is not the time to die wondering! Football. Gordon Bray is a Rugby Union game caller. And a good one at that. But could you imagine anything more unprofessional than getting Les Murray, Craig Foster or Simon Hill to call the Wallabies/All Blacks game. Channel 7, it's a farce. You know it, we all know it. Still I remember listening to Wallabies calls from years ago as Bray continually announced which school (private of course) Michael Burke or Nick Farr-Jones went to. So can't wait to hear a plug for Telopea Park High School or Tuggeranong United juniors as Canberra born Nikolai Topor-Stanley steps up to take a throw. Channel Seven destroyed the Sydney Olympics for football fans. The Socceroos Nigeria game went for about 2 1/2 half hours while on ABC radio the game lasted just the full, live commentated 90. I remember turning the radio commentary off at the end of the game as the score was continually drip feeded over the next 90 minutes on TV. Leaders in Sport's Coverage? I don't think so. Professional Sports coverage? Not from Channel 7, not then and it appears not now. I mean Gordon Bray calling the football. Haven't they got any professionalism, any money during the Olympics to hire a football commentator? Hasn't Bray got any self-awareness. I'd settle for an Argentinean call of the game! Brett Emerton, 29, has signed for Blackburn for four more years. And Josip Skoko, 32, has gone back to play in Croatia for Hadjuk Split. Fair enough. But don't come back to the A-League Emo and Josip after these contracts run out. You'll be too old, too slow. Emo has talked about playing in Sydney while he still has something left. Forget it guys, at 33 and 34 I don't want to watch you taking a relatively big A-League pay packet, pull up injured and miss the half a season. And when you do play you ain't any better, at that age, than those on the park. Former Socceroos Danny Tiatto, Stan Lazaridis, Paul Agostino, David Zdrillic, John Aloisi, Tony Popovic and you can add Brazilian superstars Juninho, Romario and Jardel to the list; all played in bits and pieces but few set the world on fire, certainly Aloisi and Juninho showed patches but injuries to both have frustrated me if not the fans. So if Brett Emerton thinks we want him at 33, I say forget it. He ain't Paolo Maldini, and definitely not Dwight Yorke. If you're coming back Aussies and many "talk" about it, how about 31 or 32 at the latest, assuming you can still run. We'd love to see you, but don't do a Tony Popovic, who took that year in Qatar, showed how much he valued us down under, and how desperate he was to get back. If you're coming, come early. Kevin Muscat did right by Australians, so did Craig Moore, but a few others have left me wondering if they made any money in Europe at all such is the desire to stay for one more very long contract. Tom Sermanni on the difference between coaching Viduka and Salisbury! Ned Zelic chats from Germany on the Canberra A-League bid. Weston Creek's Luisa Marzotto on her season and thoughts on a Canberra National League team. The Green and Gold Army have 11,000 members. I'm a member:) Their full voice is gathering to give it to Channel Seven. See the release below. Channel 7, it has to be said are hell bent on destroying Australian football fans and Olyroos supporters' vision of the Olyroos games. Uninterrupted. No. Not even of Argentina Australia. They are a joke! A football commentator? No...some guy from Union. Give us a break. It's 2008. Reap what you sow! Send the football to SBS, or show the games live and in full. How hard is it? Or do you really want to start your Olympic campaign on the backfoot. Can't wait for my bumper sticker, no-one screws football like Channel 7. The Green and Gold Army, Australia’s international football supporter’s network has been left dumbfounded by the Seven network’s announcement of a patch-work quilt coverage of Australia’s football (soccer) matches at the Beijing Games. “From information received by the network itself, coverage of the Olyroos opening game against Serbia will be delayed and interrupted by an AOC announcement, which is disappointing to say the least,” says spokesman John McGuaren. The news gets worse for fans for the all-important second game against reigning gold medallists Argentina who are bringing a full strength team to China. “We anticipate it to be the country’s biggest competition game since the World Cup in Germany and Seven have said that they’re cutting away in the last 15 minutes to cover another event - it’s just a kick in the guts for fans,” explains McGauren. News has spread fast amongst the‘football nation’ about the networks latest sortie against the game. “There was a cheeky campaign running about a decade ago where Seven was refusing to cover the world game, despite having rights to do so. A bumper sticker campaign carried the message ‘Nobody screws soccer like Seven’, I reckon a few of the old relics might pop out of the archives over the next fortnight,” says McGauren. The Green and Gold Army, which boasts a membership of more 11,000 in more than 60 countries, will be working with the wider football community to affect a change in policy by the official Olympic network. “One of two things should happen from their perspective,” explains McGauren. The ‘Army’s’ campaign to sway Seven’s view will unfold over the coming days. Channel 7 won't be showing much of the Under 23 World Cup in Beijing. Australia Serbia..we'll cut for a flagbearer's announcement. Australia v Argentina...we'll stop the broadcast 15 minutes from the end for the paddle in the pool. Couldn't make it up could you. Australia v Argentina..and it will all be called by the voice of Rugby Gordon Bray......what a joke! Interesting article on how football has overtaken Rugby Union in Private schools in Sydney. I guess we are seeing the same in Canberra these days as the number of football teams is bigger than Rugby teams across our Private schools as well. Which increases the viability and need for an A-League side in the Capital. Have you signed up:) But this quote from Knox Grammar Principal John Weeks, from the above article, intrigued me. "The kids love it - we've got teams training at 6am three times a week, and they then do their classwork and then rush straight back onto the field. "Now we have the same number of rugby teams as we do football teams, but we don't want any more rugby teams. We need to look at sport, ask where is it going, and see it's not just about rugby." Football in Canberra is set to take it's first major step forward in many many years at Senior level. Finally we get to play on the National stage, and take advantage of the game's growth and indeed our move into Asia. What opportunities for our girls and women to play in a National League? Fantastic. It is expected Canberra will have a team in the 8 team televised national W-league starting in October. Monday 28th July is Announcement day. With the winners expected to play against the women of the Japanese J-League the future is looking brighter by the day. And an A-League side would secure Canberra's football future very nicely. Talking about a Canberra A-League Team last week Chief Minister John Stanhope said, "We would be prepared to provide some funding towards that start-up but we would do that only on the basis of a strong business case and evidence of very strong community support." He talked of $5-$7million start-up costs, with probably $5 million per year in ongoing revenue. I believe the start-up costs are our problem. With $2.5 million potentially on board from investors (and fans) a significant start-up cost contribution from the Government we really could get this thing over the line. I reckon supporter sign-ups could be the key, to convince others to invest, to encourage the Government, and of course to seal the deal with the FFA. Townsville over Canberra you are joking right! TyThe ACT Government says it will provide financial support for an A-League soccer team in Canberra if there is strong community support and a solid business case. Proponents of a Canberra-based team have submitted a proposal to the Football Federation. Chief Minister Jon Stanhope says the start-up cost would be between $5 and $7 million. He says the Government would contribute, provided the team's credentials are established. "There are significant start-up funds required," he said. "We would be prepared to provide some funding towards that start-up but we would do that only on the basis of a strong business case and evidence of very strong community support. Is Deco our first marquee? We're aiming for August 2010 for our A-League debut. Imagine the scene. The Socceroos at the 2010 World Cup in South Africa in June/July. The feel good factor for football. 2010 August 12: Canberra Stadium. ateam4canberra FC v Sydney FC. Sold Out!! But who will be in the team? Well I'm naming the first team read on..
Well the great thing as we await the bid, the entry into the A-League, is the talk that will take place around the football clubs of Canberra. Indeed this week many people have started to think, to dream about the future. Barely was the bid announced and I could see people's eyes alighting to the opportunities, possible or imagined, for themselves, for the City. So I thought it was time to get the ball rolling, or the team selected. Marquee: Steve Malbranque, Deco, Adrian Mutu, or some other World Game name. Choose from Tom Sermanni, Milan Milanovanovic, Ray Junna, Ned Zelic, Miron Bleiberg, Paul Okon, or Some Dutch bloke! Jeremy Butler, with chants passion and atmosphere to die for. Deco, the Marquee, arrived late, still carrying a knock from the World Cup. But still feeling inferior in a football sense the Canberra club gave him a couple of extra weeks break. But with the new extended season Coach Tom Van Milanvanovic was not too concerned. Kofi Danning is being chased by Juventus but can stay until Christmas we are told. "I'm delighted to stay for the first season," said a fired up Danning. Kaz Patafta and Shaun Ontong did an extra session up Black Mountain as they prepare for the biggest game of their career. Playing to a sold-out crowd in front of friends and family. Canberra Times Story here Sign-ups begin, find out where you can sign up in an earlier post. But another investor? Slowly slowly...or maybe not so slow! New Dawn: Over 100 Canberrans kick-off the new Foundation Membership drive. 100 Canberrans signed-up at 9am in freezing cold Canberra today for A-League Foundation Memberships. A great start. Now is the time for all football fans who have ever dreamed of watching Professional football in Canberra to sign-up. With Ivan Slavich working hard to get the best bid on the table 5,000 members will be a fantastic assist. It will really turn the Canberra community around and send a great signal to further potential investors and to the FFA. I reckon if they open the service online, we could attract many Canberrans/friends of football from interstate and overseas. Investing in a new football club has appeal to many, not just Canberrans. When we're off to Asia to play Urawa or India or Indonesia or the Pacific Champs to play Beckham or play in our first final series, the appeal of football to the City/region and football fans must be very enticing...it's a new dawn. A-League4Canberra bid continues to gather momentum with Foundation Memberships being snapped up at the Service One Members Banking branch on Bailey’s Corner this morning at the official launch. With only strictly limited Foundation Memberships on offer, a queue tailed its way back out the door onto the footpath in freezing conditions as punters looked to cash in on this once-in-a-lifetime opportunity. “This is a fantastic turn out, it’s a clear indication that this town wants an A-League team in the Football Federation of Australia competition so I think it’s a great sign,” Canberra bid leader Ivan Slavich said. The line-up included high profile individuals such as Senator Kate Lundy, Shadow Minister for Sport, Brendan Smyth and Capital Football President and CEO, John Logue and Heather Reid respectively. “I think this sends a very clear message to the ACT Government that they need to get onboard,” the CEO of TransACT, Slavich, said. The money invested from the Foundations Memberships will be held in a trust account and used to lure potential investors. The funds will be fully refundable if the A-League4Canberra bid is unsuccessful in the future. “This great turn out indicates to investors that there’s plenty of support,” Slavich said. Foundation Memberships are available through all Service One Members Banking branches in the ACT, but Slavich encourages those interested to be quick before they sell out. So where you can join up to become a Canberra A-League Foundation Member? check here for your nearest Service One branch or read more below. This is our chance for Canberra. And a fantastic start this morning. Well done to all those who got in early. Bid is full steam ahead now as we race towards Aug 24th!! Canberra Times will be taking a photo of all foundation members who sign up at Service One Members Banking (Bailey’s Corner, Canberra City) on Thursday 17 July @ 9am - it would be great to see you there! The more the merrier and obviously the more successful it will appear to the public. Ivan Slavich on the bid for Canberra. Paul Mavroudis talks about one of Australia's oldest clubs, South Melbourne. All the news and football discussion from Fitsum Michella and Russ. powered by ODEOAndrew Barr on the bid, hear the voice of the fans, and Russ and Chris cover all the news; A-League Kanga Cup and more. Lest we forget. Peter Fitzgerald finally wrote something about football in Canberra and it stinks of "smell the fear," and lacked analysis and Canberra vision. Peter says we need a lot of money. Well well Peter tell the football community of Canberra something we don't know.! 5,000 fans to a pre-season, pre-season game. 1000 sign-up for a football team that doesn't exist and Ivan Slavich impresses the FFA enough to allow a late entry bid for the A-League, but Peter couldn't find a good news Canberra football story in that! Peter took a dig at local fans, not smart Peter! and he reckoned the Canberra A-League bid wouldn't get 3500 members to match the Raiders. We'll see. In fact we may all just go away if Peter has his way. We won't get it so don't try! But of course we will get it. Maybe not now, although I wouldn't argue with Ivan, but we will get it now or in the coming years. This is the start Peter. Can't you see that! And Peter if you knew anything about football you would know that for example the Central Coast started with just $0.5 million, one investor and 4500 at their first game. The Gold Coast Galaxy were taken over by Clive Palmer after making a lot of noise. They have been renamed. Townsville made a fuss then attracted another big investor. No Peter a shallow article lacking depth and analysis, showing an amazing lack of knowledge about how A-League clubs have been built, the possibilities for the future, and the importance for the City to have a football team. Slavich can dream by himself, but he can't build it into a reality by himself. He's got the fans on board, but needs the big bucks. And until that happens, Canberra's prospects of having an A-League team any time soon will just that a dream. Peter Fitzgerald rarely if ever talks football. Today he did. He could have chosen to highlight the hope Ivan Slavich has given the football community of Canberra, the hope the gives to the National Capital and why we need a team for the future of the city, our links with Asia. talked about the encouraging start of the fans and business community. But he didn't. No good old Peter, a Canberra Times sports writer, tried to dampen the spirit. Almost made me think he wanted Ivan to fail. And Peter what have you done in your life. Ever tried to build something from scratch. Doesn't sound like it. And I'll remember you mate, when the team enters the league. Be it now or in years to come. Coz that's the point Peter, there will be a team in Canberra it's just a matter of time. 5,000 on Saturday is more than the Central Coast got for their first A-League game but you couldn't highlight the positive, why you even had a go at the lads from Tuggeranong. They are doing a great job. Sure we are all hoping the money will be there. And it will Pete, if not now in years to come. You see you need vision and passion Pete. Ivan has it. You appear not to! Stick to what you know. Peter it clearly isn't community spirit, the city of Canberra, the growth of football across Australia, across Asia. As for football passion well Pete we'll leave that to the lads of Tuggeranong who like Ivan Slavich have been brave enough to do something for football, for sport, for Canberra. Unlike yourself. On your bike mate! There's a harsh reality behind Ivan Slavich's spirited bid for an A-League team in Canberra: he needs to find $7million to get through even one year of existence. Parochial support is a wonderful thing. Fans signing up on internet sites supporting the bid is great. Fans rocking up to Saturday's pre-season game at Canberra Stadium with signs expressing their love of soccer and absolute support of Slavich is fantastic. But let's get serious for a moment. Let's take a much-needed reality check. It's not going to get the desired prize. One thing and one thing only will convince Football Federation Australia to award Canberra an A-League licence, and that's cold hard cash. Slavich reckons he needs $7million to get the ship sailing to cover start-up costs, player salaries and run the club in its first season. So where does he get the cash from, and is it realistic to believe he can in time? There was a group of fans at Saturday's A-League pre-season game between the Newcastle Jets and Central Coast Mariners holding a sign which read, ''A TEAM 4 CANBERRA.'' ''I TEND NOT TO FAIL'' Ivan Slavich 2008''. Also on the sign was an unofficial ''sign-up sheet''. Gordo, The General, Big Head and Walnuts all ''signed up'' to support the bid. That's great that the team would have dedicated fans but Gordo, The General, Big Head, Walnuts and their mates are unlikely to have a spare couple of hundred thousand dollars each to chip in and help out with. So if they can't help, who can? Firstly the ACT Government must get involved. This is a non-negotiable. The Government funds Canberra's three premier sporting teams the Brumbies, Raiders and Capitals to the tune of $100,000 each per season. They are the only three sporting teams on the Government's tier-one cash handout. Slavich must ensure his team becomes the fourth. Once securing the Government's backing which would also include locking in Canberra Stadium as a home venue the bid needs to find a couple of big name sponsors. To date only the chief executive of Canberra advertising, design, interactive and marketing agency ZOO, Pawl Cubbin, has signed up as a financial backer. Cubbin's support is invaluable, but it's not enough. Slavich needs a major sponsor and then, hopefully, other investors will jump on board. Given he is the chief executive of TransACT and general manager of retail with ActewAGL, you can all-but guarantee Slavich will organise some sponsorship dollars himself. The problem is, how many corporate dollars are there in Canberra? The Brumbies, Raiders and Capitals have all cemented themselves in the local community, both popularity-wise and financially. The Capitals' major sponsorship deal with long-term backer TransACT is worth about $150,000. The Raiders demand about $700,000 for their top-name sponsor while the Brumbies get more than $1million for their major sponsorship package. Third-party sponsorship in the Super14 and NRL has become a major part of securing top-name players in recent years. Canberra teams have constantly struggled because there simply aren't enough third-party dollars available in a city of 340,000 people. Slavich has said he is scanning interstate options, and that may be his only chance. Once getting the Government and sponsors on board, there's the issue of members. The Raiders, who have been in Canberra since 1982, have a mere 3500 members, or roughly 1 per cent of the population. The Brumbies have 9000 members. Slavich wants an initial 5000 supporters to pay $200 per head as a membership kick-start. Nice in theory but highly unlikely to eventuate. After all the above is sorted out Government support, corporate dollars and adequate membership numbers Slavich has just one more thing to do. Find himself a team of players. Canberra players playing in existing A-League teams such as Shaun Ontong (Newcastle Jets), Kaz Patafta (Newcastle Jets), Adam Casey (Sydney FC), Matt Kemp (Melbourne Victory) and Nikolai Topor-Stanley (Perth Glory) could kick-start the recruitment drive. Entice Canberra's Josip Simunic, who is currently playing in Germany and Carl Valeri, who is in Italy, to come home and it's not a bad start. OK, so the chances of signing all of those players so easily may be little more than a dream. But so is Slavich's bid for a team at this stage. 1,000th fan: It's Amy Taylor. Former Matildas and Canberra City/Tuggeranong United star Amy Taylor is our 1,000th fan. Amy is now WinTV Wollongong Sports News Reporter, Amy's also host of Fox 8 Football Superstars show. Like many Canberrans Amy started football at a young age, and has gone on to great success in her sporting and professional life. We've had fantastic support from across the community. Thankyou. Listen out for Ivan Slavich on ABC 666am tomorrow and Capital Football CEO Heather Reid on 104.7FM tomorrow morning. both on the stations sports shows. See you at the game. Let's give Ivan a cheer. Advertising will start on Tuesday but you can get in now! The Bank Account's are set up at SERVICE ONE MEMBERS BANKING branches across Canberra. Why are is Ivan doing it? We are also anticipating private investors and ACT government support for ALeague. the surrounding region to deposit their $200 support payment. Shane Perris from Narrahbundah FC is the 950th fan to sign up. Great work Shane. and Ivan Slavich wants your support at the game at Canberra Stadium tomorrow..read today's Canberra Times article below...and six Young Rockets have been asked to train with Mariners today. Central Coast Mariners goalkeeper Danny Vukovic may be banned from the Olympics but he will be included in the squad to play the Newcastle Jets in a pre-season game at CanberraStadium tomorrow. It will be his first appearance since he was suspended for striking a referee in last year's Grand Final, against the Jets. The Canberra Times reported two weeks ago that in the latest twist to Vukovic's suspension he is currently allowed to play in Australia, despite FIFA banning him from taking part in the Olympics. Vukovic was originally banned for 15 months, with six months suspended,after striking referee Mark Shield in the final minutes of last year's grand final. But the FFA then cut the ban over a two month period, so that Vukovic could play for the under-23 Olyroos, at this year's Olympics. FIFA then overruled the FFA decision and last week the Court of Arbitration for Sport dismissed a final appeal from the Mariners that put an end to his Beijing hopes.But the FIFA ban only refers to international games, which means Vukovic is free to play in Australia during the ban-free window from June 25 to August 28. Yesterday Central Coast Mariners coach Lawrie McKinna said Vukovic will be included in the squad, but he will sit on the bench with Andrew Redmayne starting the game for the Mariners. ''They may play 45 minutes each, we don't know yet,'' McKinna said. ''But he's available and he'll definitelybe on the bench.'' The Mariners squad will be much stronger than the team that played two pre-season trials in Canberra two weeks ago. Since then, former Melbourne Victorymidfielder Adrian Caceres has joined for his first training sessions and Mile Jedinak has returned from Socceroo camps. Caceres will start his first game for the Mariners while former Canberra national soccer league striker Nik Mrdja will play his first game after returning from a long absence due to a knee injury. Mrdja will be given 15 minutes off the bench.Popular midfielder Andre Gumprecht will also be on the bench after he was re-signed on Tuesday.McKinna said he expected tomorrow's game to turn out better than their last grand final re-match which the Jets won 1-0 on the Central Coast last month. ''That game we had most of the possession and they scored against the run of play,'' McKinna said. ''They've had the wood on us the last few times, and it doesn't really matter what team we have on the park, we still want to win the game. ''Both the Mariners and Newcastle Jets squads will arrive in Canberra today. The Jets will train at the AIS football fields from 4pm and the Mariners from 5pm. A number of Mariners players, including captain Alex Wilkinson and Jedinak, will visit Kanga Cup finals today. A-League trial game: Central Coast Mariners v Newcastle Jets at Canberra Stadium, 1pm. Simon Hill: I think it's vital Canberra is represented. Simon Hill pictured here at last years Asia Cup in Rajamangala Stadium, Bangkok, has signed up to show his support for football in Canberra. Taking time out from his current trip to England, Australia's Number One Football Commentator Fox Sports Simon Hill says, "I'll do anything I can to help. I think it's vital Canberra is represented." We do to Simon and thanks for your support. FFA: Yes Canberra can bid! 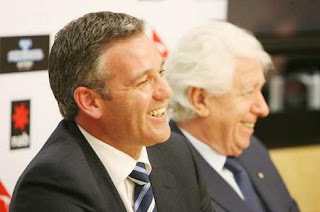 FFA Ben Buckley, pictured alongside Frank Lowy, invites Canberra to bid. Pawl Cubbin from Zoo to invest! Well done Pawl, leading the way. Who will be next? Merryn Sherwood from the Canberra Times has the story many football fans in this town hae been waiting for: Canberra to bid and read more about the Ivan Slavich team below. We are on a roll. Time to push harder, and louder. See you at that game on Saturday. Bring everyone! It feels good! Football Federation Australia chief executive Ben Buckley has officially invited Canberra's Ivan Slavich to submit a bid for an A-League team. And it's just one of the latest developments since Slavich announced last month that he would lead the ACT's A-League bid. Pawl Cubbin, chief executive officer of Canberra advertising, design, interactive and marketing agency ZOO, signing on his support as a investor. Slavich being officially endorsed by soccer's ACT administrator, Capital Football, to lead the bid. Accounting firm Pricewaterhouse-Coopers signing on to provide support. Canberra legal firm RSK legal also providing support. More than 900 people signing up their support for an A-League team on the AteamforCanberra website. Slavich confirmed yesterday that he had official word from Buckley on the submission. He said he had managed to convince the FFA to extend its original deadline of June 2 to mid-August, so that the Canberra submission could be reviewed along with the other 10 bids that the FFA would be considering. Last month the FFA announced it had received 10 bids, which would all be considered for the 2009-10 season and then 2010-11. One of those, Gold Coast United, has already been accepted for next year. But Slavich said he would still be aiming for acceptance into the 2010-11 season. The chief executive of TransACT and general manager of ActewAGL's retail division has only been in the official role for about two weeks, but is aiming to have a bid to the FFA by mid-August. The bid will be put together by a committee that includes Slavich, Canberra Stadium manager Neale Guthrie, RSK partner Andrew Satsia and Cubbin among others. Slavich urged soccer fans in the ACT to support this weekend's A-League grand final rematch at Canberra Stadium between Newcastle and the Central Coast. ''We can see there is a lot of support out there already, now it's important that Canberra comes out to support it this Saturday, and that they all come to Canberra Stadium,'' he said. Slavich also encouraged any other potential investors to contact him. Capital Football CEO Heather Reid signs up. Capital Football CEO Heather Reid gives her full support and that of Capital Football. Speaking on Nearpost radio this week Heather gave her full support. Former Socceroo Andrew Bernal signs up! Andrew Bernal, Canberra born, Narrabundah FC, former Socceroo, ex-Reading FC Captain and David Beckhams personal advisor when Becks moved to Real Madrid (Andrew speaks Spanish)has signed up. As has Andrew Young former National Soccer League Canberra Metros player and Socceroo and Fulham FC Fitness and Conditioning Head Coach. 900th signature: Matty Collins Belconnen United. Matty Collins, Belconnen United takes us past the 900 mark. We're heading for 1,000 before Saturday's game. Ivan steals my motto: "I tend not to fail." Well one can dream!!!! Will we hear a chant at the game on Saturday? A very Young Matildas side were thrashed 5-0 by China, and the Australian boys Under 17 side, The Joeys beat Bahrain 2-1. Canberrans Amy Chapman, Chris Bush and Ben Harrington all got game time for their respective sides. Match reports below from the FFA. The Australian women's football team, the Matildas, were defeated 0-5 by Olympic Games hosts China, in Tianjin overnight. China, which is aiming to be amongst the medallists in the Olympic Games women's football competition on their home turf, took the lead in the 7th minute when Han Duan struck low and hard from the edge of the box against the run of play. Zhang Ying doubled China’s lead in the 22nd minute with a well taken volley after Han Duan had made a break down the right and supplied a pin-point cross. Shortly after the break China extended their lead when the Chinese Captain Li Jie converted a penalty following an obvious infringement in the box. Soon after the hour mark, Matildas captain Kate McShea had an attempt from the edge of the box but the Chinese keeper was able to block the shot to deny Australia a goal. Shortly after, Kyah Simon came close to scoring, but her shot hit the post and bounced out. Xu Yuan added China’s fourth goal with 10 minutes remaining after pouncing on a mis-cleared ball and followed up with a strike from the right edge of the box. Yuan then claimed her second goal of the evening with a solid shot in the 87th minute to seal a 5-0 victory. Matildas coach Tom Sermanni was disappointed with the result. “The result highlighted the fact we're just not a cohesive unit at this point in time. It also highlighted the different stages for both teams,” said Sermanni after the match. "China is deep in preparation for the Beijing Olympics, and we are not and a number of our more experienced players did not travel on this short trip. “Our inexperience was also highlighted by the inconsistency in our performances, we had a good game the other night but could not back it up tonight. “Having said that, I was extremely disappointed with some of the errors we made; errors you wouldn't expect from even a much younger side. I was also extremely disappointed in our limited mental toughness and concentration. This is probably the weakest we have performed in these two areas. “We have to regroup now and start preparing for Saturday’s match against New Zealand,” concluded Sermanni. The Matildas now return to Australia to face the New Zealand 's 'Football Ferns' on Saturday (12 July 2008) at North Sydney Oval (Kick-Off 12:00pm AEST) in what will be Di Alagich's final international match. Australia line-up: 1.Melissa Barbieri (gk), 2.Kate McShea (Captain), 3.Karla Reuter (24. Servet Uzunlar 62’), 6.Amber Neilson (22. Ellen Beaumont 62’), 8.Caitlin Munoz, 13.Amy Chapman (5.Renee Rollason 81’), 14.Clare Polkinghorne (10.Leena Khamis 81’), 16.Lauren Colthorpe, 17.Kyah Simon, 19.Kim Carroll (25. Brooke Spence 62’), 20.Joanne Burgess (15.Victoria Balomenos 81’). Substitutes Not Used: 18.Lydia Williams (gk). The Qantas Joeys have come from a goal behind to defeat Bahrain 2-1 in their opening match of the ASEAN Football Federation (AFF) Under 16 Youth Championships in Jakarta overnight. Bahrain opened the scoring in the 20th minute when Sayed Dhiya Saeed beat Qantas Joeys goal keeper Robert Kolak in a one-on-one situation. Kamal Ibrahim then equalised for the Qantas Joeys in the 34th minute with a tap in from close range after being set-up by Million Butshiire. After the half-time break both teams looked for a winner with Bahrain coming the closest when Ali Habib Ali hit the crossbar, whilst the Qantas Joeys had a number of free kicks around the box that they were unable to capitalise on. With the match seemingly destined to end in a draw, Qantas Joey Kerem Bulut was fouled in the box by Sayed Hashem Adnan Mahfood. Jared Lum converted the resulting penalty to give the Qantas Joeys an important victory. In the other match of the evening Malaysia defeated Singapore 2-0. The Qantas Joeys play the host nation Indonesia in their next match of the AFF Under 16 Youth Championship on Friday 11 July 2008 (kick-off 8.30pm AEST). Qantas Joeys: Robert Kolak (gk), Trent Sainsbury, Petar Franjic, Brendan Hamill, Chahine Noujaim, Kamal Ibrahim, Jared Lum, Benjamin Kantarovski (Christopher Bush 56’), Nikola Stanojevic, Joseph Costa (Benjamin Harrington 72’), Million Butshiire ( Kerem Bulut 87’). Substitutes Not Used: Nathan Farrell, Trent Sainsbury, Lawrence Thomas (gk), Marc Warren, Tedros Yabio. Yellow Cards: Kamal Ibrahim 90’. Kerem Bulut (NSW), Christopher Bush (ACT), Million Butshiire (WA), Joseph Costa (SA), Nathan Farrell (SA), Petar Franjic (VIC), Brendan Hamill (NSW), Benjamin Harrington (ACT), Kamal Ibrahim (VIC), Benjamin Kantarovski (NSW), Robert Kolak (gk) (NSW), Jared Lum (NSW), Chahine Noujaim (SA), Trent Sainsbury (WA), Nikola Stanojevic (NSW), Lawrence Thomas (gk) (NSW), Marc Warren (NSW) and Tedros Yabio (VIC). Day Seven: Yahoo Capital Football Under 15's win on penalties, Matilda bound Dubbo striker Ashleigh Sykes dumps Capital Football under 17's. Scores and tables and Play-off fixtures below. Venue – BCU International Stadium, Coffs Harbour, NSW. Group A: Football West 1 (C.Coyles 11’) Queensland 1 (B.Whitfield 6’), Northern NSW 11 (T.Andrews 3’/17’/26’/31’, J.Harris 7’, M.Searle 14’, G.Peterson 30’/45’/57’, L.Rapley 34’, M.Howell 54’) Northern Territory 0, Capital Football – Bye. Group B: NSW 2 (H.Brewer 4’, N.Bolger 15’) NSW Country 0, South Australia 2 (V.Reed 15’, C.Green 58’) Tasmania 1 (S.Vienna-Hallam 33’), Victoria – Bye. Group A: Queensland 2 (T.Roberts 12’, R.Allen 32’) Northern NSW 1 (R.Wayne 53’), NSW 5 (S.Haim 18’, A.Clifford 29’, L’O’Neill 33’, G.Dickinson 40’, K.Pearce 61’) Tasmania 0, NSW Country – Bye. Group B: South Australia 5 (R.Quigley 20’/55’/67’, E.Weidenbach 27’/42’) Victoria 1 (S.Richardson 43’), Football West 9 (E.Mastrantonio 15’/64’, R.Davies 25’, S.Kerr 26’/28’, M.Tabain 29’/49’, S.May 40’, E.Glanfield 58’) Northern Territory 0, Capital Football – Bye. Group A: Queensland 6 (A.McCleary 4’, B.Whitfield 7’, S.Mayhew 18’, N.Mueller 23’/25’, A.Wellingham 59’) Capital Football 0, Football West 10 (S.Goadsby 7’/8’/15’/16’/17’/19’, S.Lawrence 7’/18’, T.Rigby 2’,C.Coyles 10’) Northern Territory 0, Northern NSW – Bye. Group B: NSW 5 (N.Bolger 15’, C.Foord 19’, T.Allen 24’, D.Borg 51’, E.Grey 57’) South Australia 0, Victoria 1 (S.Catley 6’) NSW Country 1 (R.Pearson 28’), Tasmania – Bye. Group A: NSW 3 (N.Hamson 16’, L.O’Neill 47’, J.Kingsley 63’) Northern NSW 1 (L.Hudson 64’), NSW Country 1 (A.Ryan 29’) Queensland 1 (K.Gorry 20’), Tasmania – Bye. Group B: Capital Football 4 (B.Studman 13’, L.Allan 22’, C.Lynch 38’, E.Clout 64) Northern Territory 0, South Australia 3 (R.Quigley 17’/18’/31’) Football West 2 (E.Glanfield 15’, S.Kerr 28’), Victoria – Bye. Group A: Northern NSW 2 (J.Harris 22’, G.Peterson 52’) Capital Football 2 (A.Palombi 11’, S.Rojahn 40’), Queensland 12 (B.Whitfield 1’/5’/11’/21’/29’/46’/48’, H.Raso 7’, M.Hatzirodos 13’/ 23’/35’, T.Riding 12’) Northern Territory 0, Football West - Bye. Group B: NSW Country 2 (T. Cox 14’, T.Hay 43’) South Australia 0, Victoria 3 (C.Friend 23’/30’, E.Runnalls 24’) Tasmania 0, NSW - Bye.